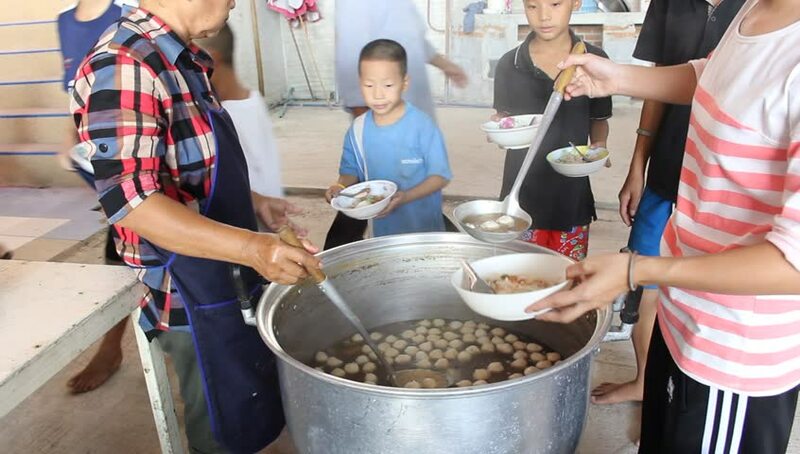 ANG THONG, THAILAND - CIRCA DECEMBER 2012: Orphans in Wat Tarn Jet Cho Temple are getting free lunch from Philanthropists. hd00:16ANG THONG, THAILAND - CIRCA DECEMBER 2012: Orphans in Wat Tarn Jet Cho Temple are getting free lunch from Philanthropists. hd00:15BANGKOK, THAILAND, 2103: A Thai food vendor makes a delicious omelette filled with lots of goodies in Bangkok, Thailand. hd00:20ANG THONG, THAILAND - CIRCA DECEMBER 2012: Orphans in Wat Tarn Jet Cho Temple are getting free lunch from Philanthropists. hd00:12WELIGAMA, SRI LANKA - MARCH 2014: Local chefs working in a restaurant kitchen in Weligama. The term Weligama literally means "sandy village" which refers to the area's sandy sweep bay. hd00:23RETHYMNO - 20 AUGUST 2015, Crete: Walking through the local food market in Rethymno Crete. Shoot on Digital Cinema Camera in hd.